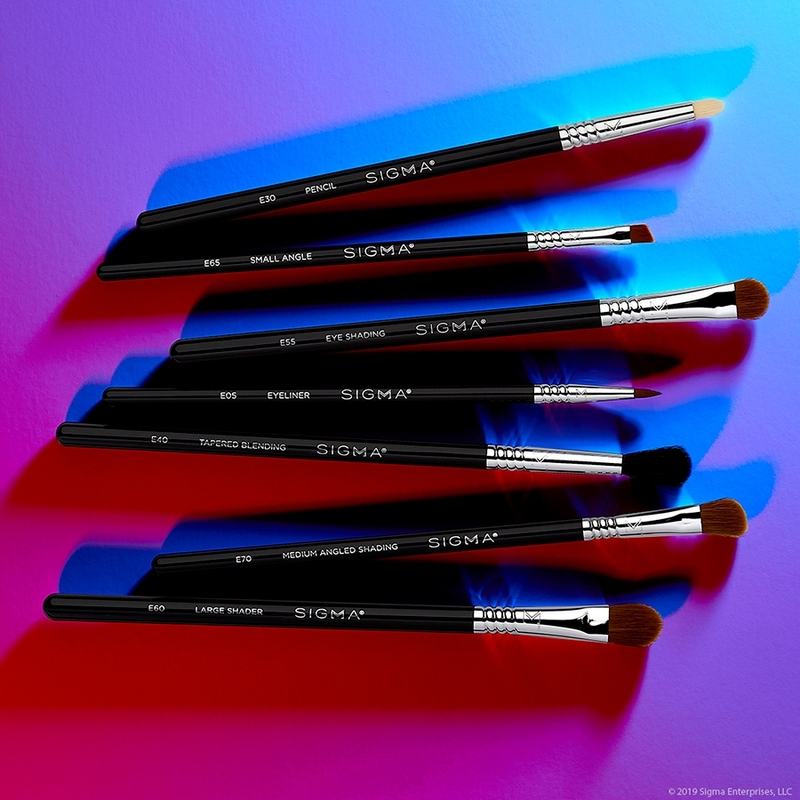 Create dimension in your crease with this SigmaTech® fiber brush using powder pigments and the soft, pointed-precision tip to apply. E45 Small Tapered Blending Brush is rated 4.8 out of 5 by 44. Rated 5 out of 5 by VanMarie from PERFECT! The bristles are so soft, and stay that way! Product is picked up and transferred perfectly. The tapered shape helps me get colour in those small places and the fluffiness of the bristles makes for ease of blending. All-in-all, this brush is just amazing and does everything I bought it to do! I was not disappointed and would rate Sigma higher than the higher-end brushes that I own. One word - PERFECT! 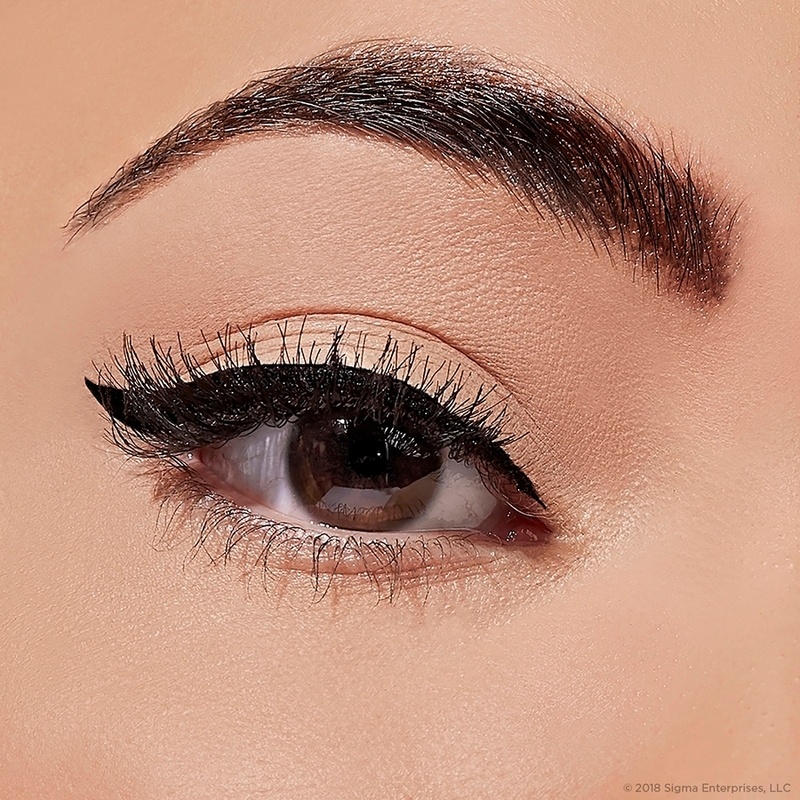 Rated 5 out of 5 by MUAvalon from Brush is Perfect - If Used Properly I adore this brush, I love winging out my crease/upper lid shadows and this does it perfectly. But when I first used this brush, I was having a hard time getting a seamless blend while using it. I realized the problem was that I was holding the brush too close to the bristles, like a pencil. Sigma doesn't make the brush so long for it to be held at the ferrule. If you're experiencing this problem as well, try holding the brush from the bottom of the handle. Rated 5 out of 5 by Michal from The best crease brush for hooded eyes The best brush for the crease for hooded eyes or small eyes. It is a must brush. I love it! Rated 5 out of 5 by kristielynne from Great for outer v and crease. This brush picks up good amount of product and puts it on eye with precision. I never was to good with putting product in my crease but now I don't have to be because I found the tool for the job! 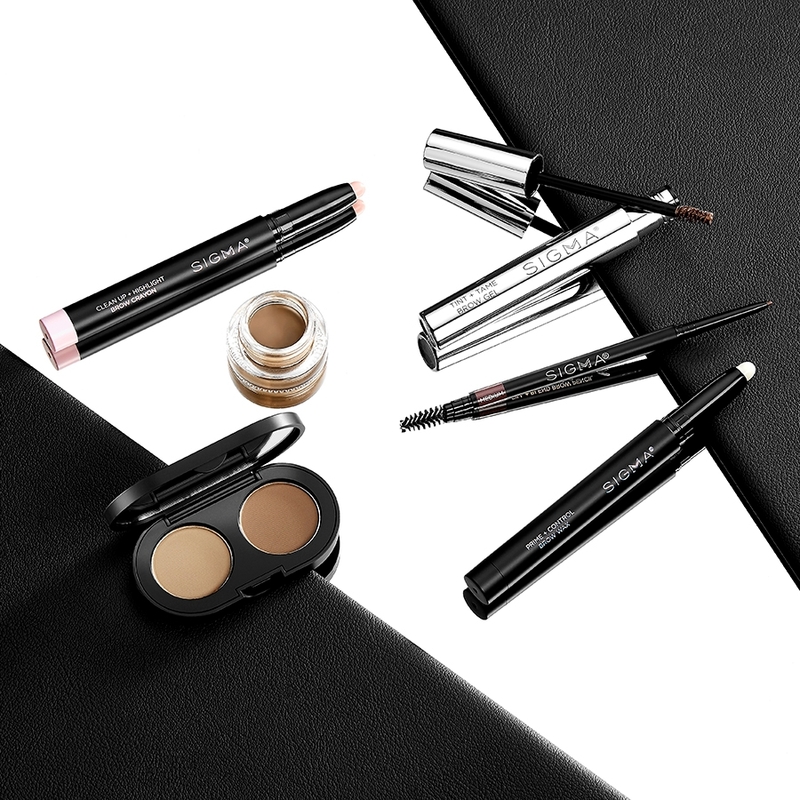 Do you have an even smaller brush for blending colours in the crease? 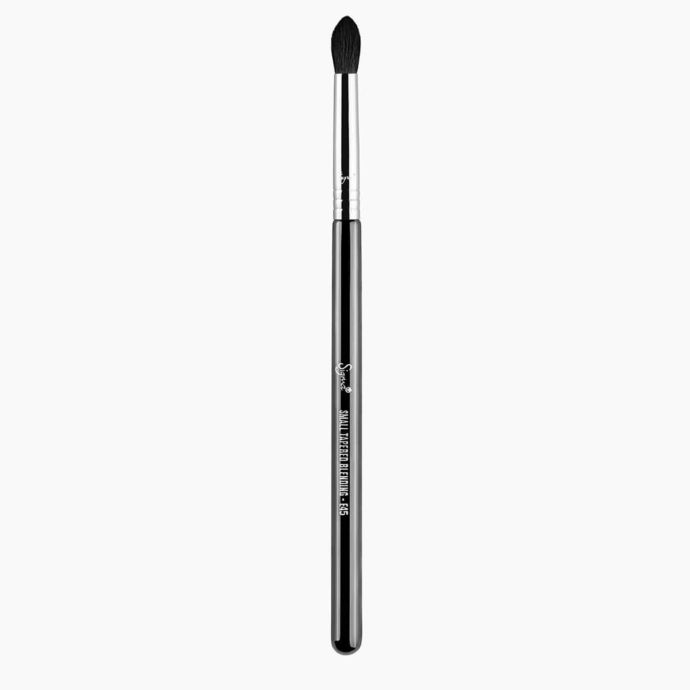 Would you recommend this brush for applying colors to the outer V of the eye? Or would you recommend a different brush? 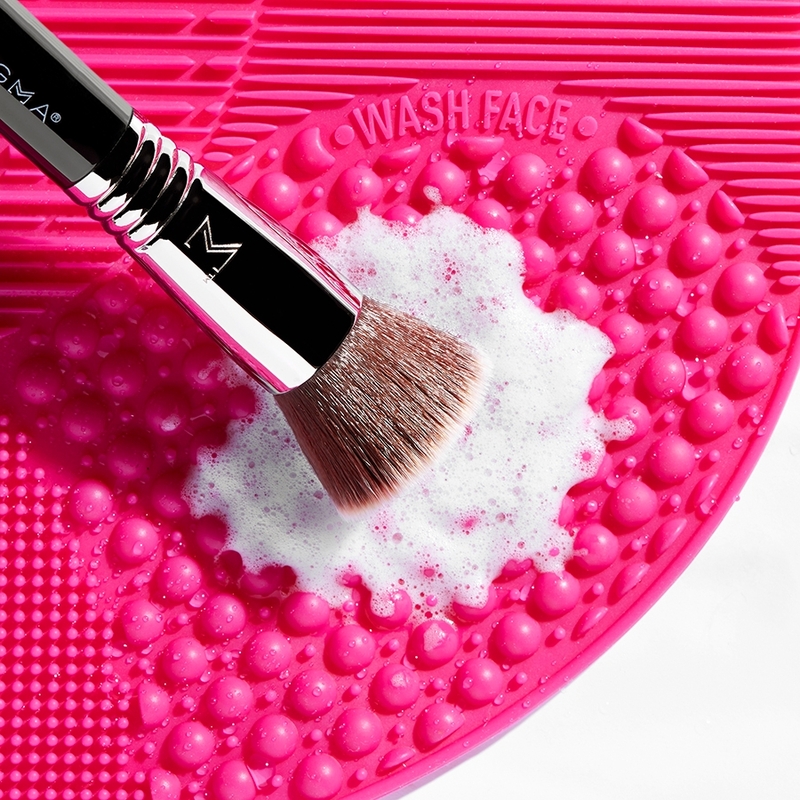 This brush is great for gently applying product and blending. You may prefer the E30, E34 or E21 to apply shadow in your outer V and blend with the E45. 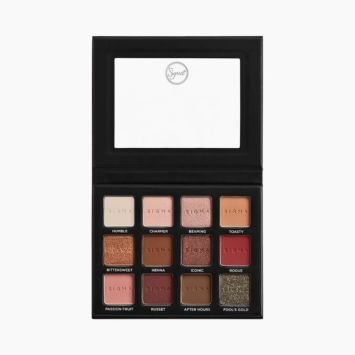 I am looking for brushes to apply color and blend in the crease. I am looking at the e45, the e40, and the e35. Is it necessary to have all or which two would you prefer? Which 2 would u combine or can the e35 do both? 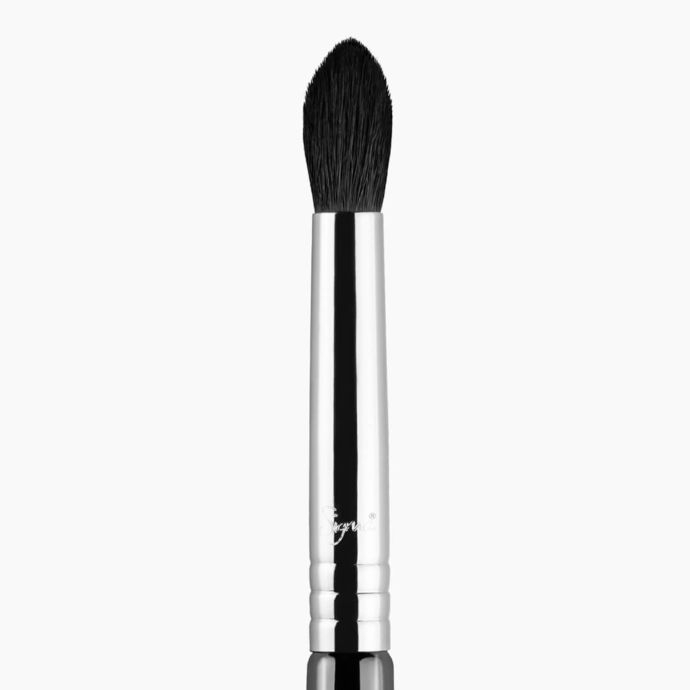 The E45 - Small Tapered Blending Brush is great for applying powder shadows in the crease. 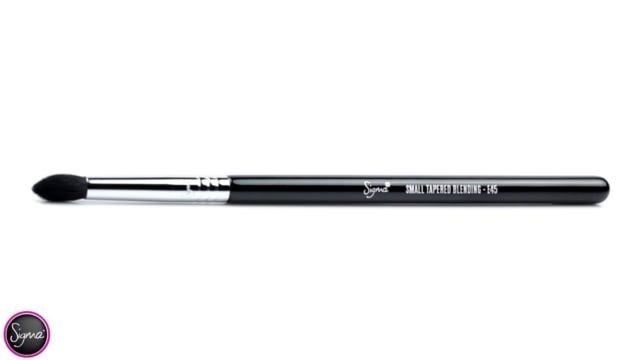 It has a small, tapered brush head with a pointed tip, ideal for the crease. The E40 - Tapered Blending Brush applies with a gentle application of color to soften harsh lines or to apply a transition color to the crease. The E35 - Tapered Blending Brush works great for blending colors together on the lid and for softening looks. 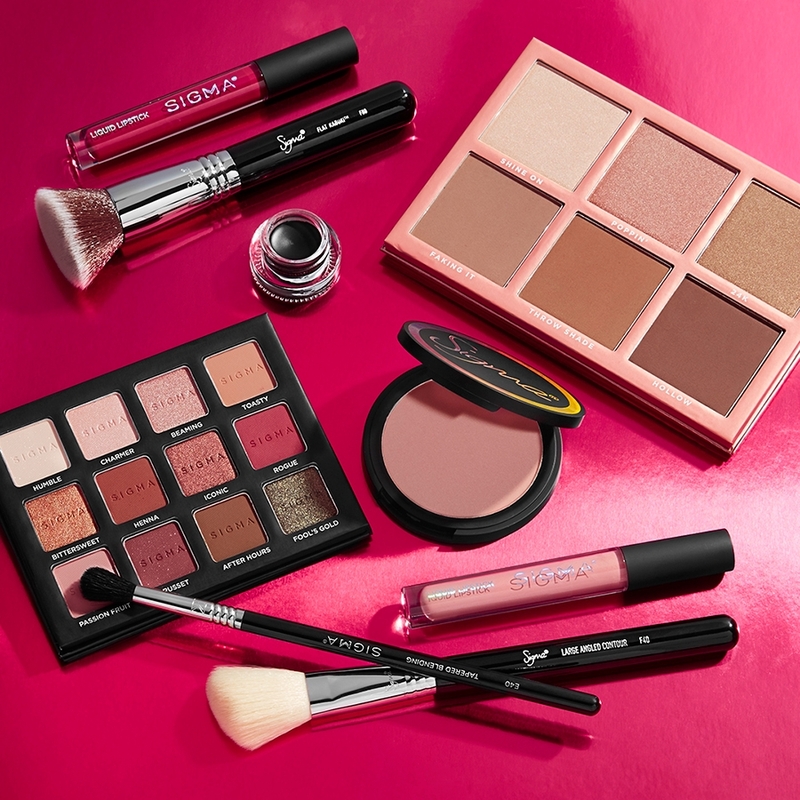 You can use any of these brushes in the crease. Which brush wld be better for the crease. This one or E44? 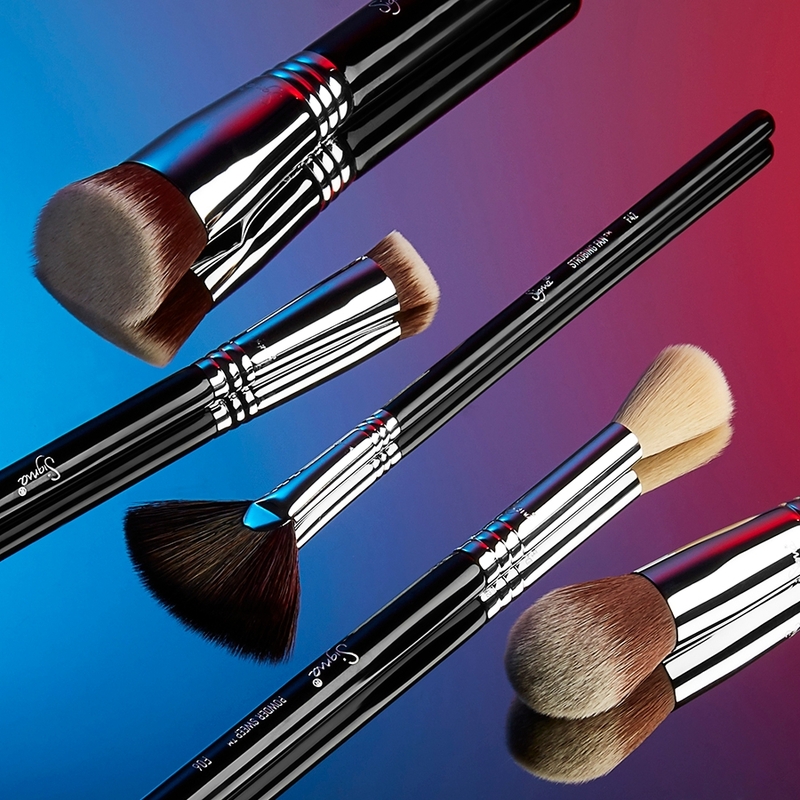 Depending on the look you are wanting to accomplish, the E44 brush is very firm and will apply an intense crease color. The E45 brush is tapered and will add depth and dimension to the eye. 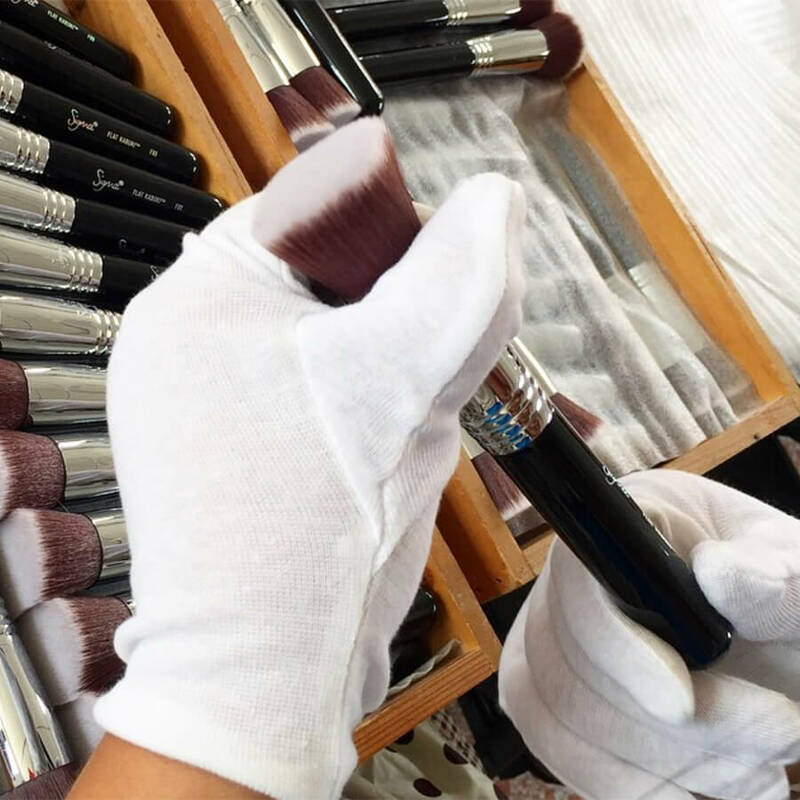 What are the differences between the gold brushes vs chrome or silver? Are they still synthetic? The difference between the Gold, Chrome and Copper brushes is the ferrule color. The E45 - Gold will be made with natural hair, the individual product page will specify if the brush is available in SigmaTech is certain colors. Is this synthetic or natural fibers ? The Chrome and Copper brush options will be made with our exclusive SigmaTech synthetic fibers!